Be sure to enjoy recreational amenities including an outdoor pool and bicycles to rent. Additional features at this hotel include complimentary wireless Internet access and tour/ticket assistance. The complimentary beach shuttle makes getting to the surf and sand a breeze. With a stay at Artemide Hotel in San Vito Lo Capo, you'll be within a 10-minute walk of San Vito Lo Capo Beach and Mother Church. This property is 6.7 mi (10.7 km) from Zingaro Nature Reserve and 1.5 mi (2.5 km) from Chapel of Saint Crescentia. Featured amenities include multilingual staff, luggage storage, and ATM/banking services. A roundtrip airport shuttle is provided for a surcharge (available 24 hours), and free self parking is available onsite. Make yourself at home in one of the 14 air-conditioned rooms featuring kitchenettes. Conveniences include safes and separate sitting areas. Satisfy your appetite at the hotel's coffee shop/café. Wrap up your day with a drink at the bar/lounge. A complimentary buffet breakfast is served daily from 8:00 AM to 10:00 AM. 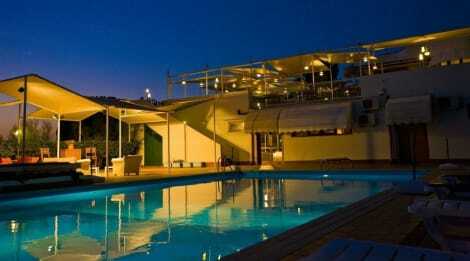 The hotel also has an open terrace solarium with sea views and a covered terrace where breakfast is served. 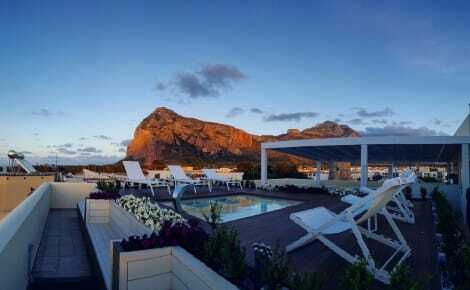 lastminute.com has a fantastic range of hotels in San Vito lo Capo, with everything from cheap hotels to luxurious five star accommodation available. We like to live up to our last minute name so remember you can book any one of our excellent San Vito lo Capo hotels up until midnight and stay the same night.